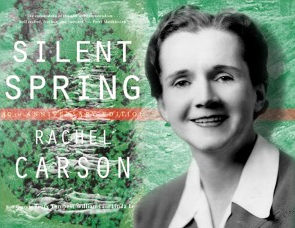 Silent Spring and the Obligation to Endure by Rachel Carson is the topic my group had for our group presentation. Carson shares beautiful ideas about the world, how we’re destroying it and how we can save it. She said, “No witchcraft, no enemy action had silenced the rebirth of new life in this stricken world. The people had done is themselves.” Carson means that we constantly are looking for other things to blame beside ourselves for the terrible conditions we have created here on earth. We are destroying the environment. Humans are taking advantage of the earth’s limited resources and selfishly using them for our benefit. Think about how many times a week you fill your tank with gas, or how many water bottles you drink on a daily basis. Things that we take for granted everyday are the things that are destroying this planet. We will be leaving behind a disastrous life for future generations. Carson believes that ‘time is the essential ingredient’ and that now in the modern world we don’t have enough time. We need to use whatever time we have let to try and start making changes in our lifestyles to help protect the earth and help it flourish as the beautiful place it once was. It’s not fair for us to waste time and resources selfishly while we inhabit the earth. We need to make time to find ways to reduce our impact and ecological footprint. Carson talks a lot about pesticides. In our presentation we told the class about many different types of pesticides, like DDT and some other deadly ones. Too many farmers are using pesticides in their crops, which is not only damaging the earth and infecting our soil; it is putting those farmers at extreme risk of sickness and death. 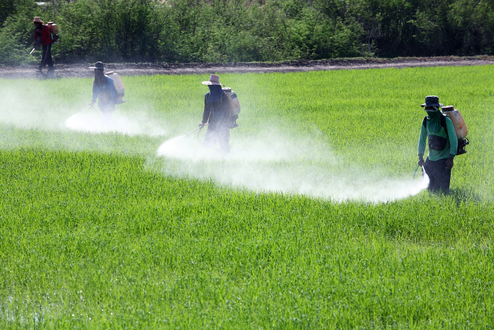 Inhaling and being around pesticides like DDT can lead to serious health issues and death. Farmers have been willing to use these pesticides because money is the motive. They believe that if they don’t use these pesticides they wont have a successful harvest because of all the invasive bugs and other species eating away at their crops. The chemical war can never be won and all forms of life will be caught in its crossfire. There are many alternatives to pesticides, which is what I talked about in my group presentation. One alternative that I truly believe in is getting up and ending the laziness. Get up and fight to save your groups with your own two hands instead of spraying pesticides. It takes more time but it is more effective because eventually the animals and insects will build immunities to your pesticides and be unstoppable.